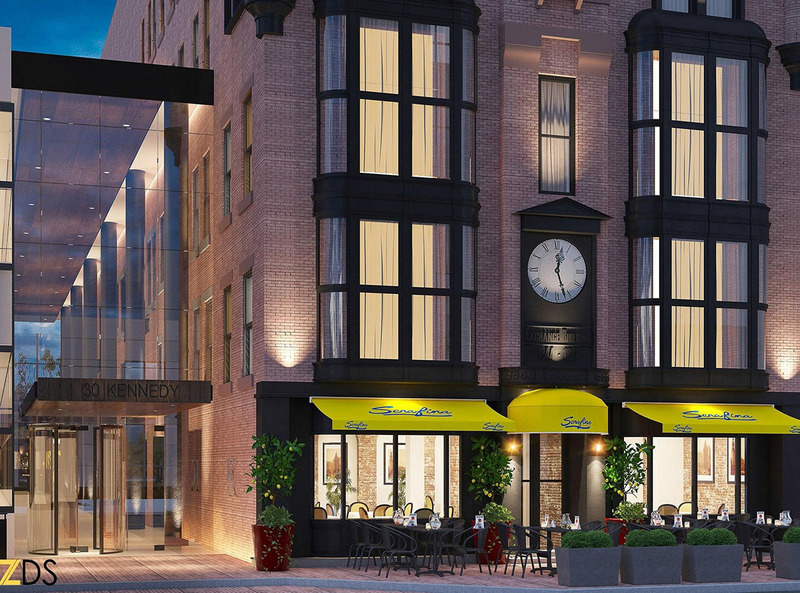 When he bought both buildings and a nearby parking lot in early 2014 for about $60 million, Paolino said he hoped to turn the smaller of the buildings, built in the mid 1800s, into a hotel. Paolino said challenges remain with his hotel plans. He has been one of the loudest critics of existing conditions at Kennedy Plaza, where many of the state’s bus routes converge. He said the city’s recent imposition of a no-smoking policy in Kennedy Plaza will help the area become more of a park and less a place where people loiter. But more must be done — the reason, Paolino said, that he has become chairman of the Downtown Improvement District. So according to Paolino, if you’re waiting for your bus to arrive, you’re “loitering? ” If RIPTA was able to offer high frequency headways, those who are perceived as loitering would vanish every 5 to 10 minutes to be replaced by new loiterers , who would also vanish in the next 5 to 10 minutes. Seems like Paolino only understands the city from the perspective of his private automobile. any plans for more trees in KP? City should try to transfer some more mature, taller city trees. @Peter Brassard: You should see all the people loitering at New York’s Penn Station every day at rush hour. The bums. Mr. Paolino tell us more about how you distinguish between “Loitering” and what people are actually supposed to do in a park. Screw that. If he needs money, he should sell a couple parking lots. This would definitely enhance the Kennedy Plaza area into the evening/night. This enhances the Arcade-block of Westminster. Which is great, but let’s see what it will look like from KP. The ProJo article says the bank branch will remain in a reduced footprint, I would assume that footprint will be in the Kennedy Plaza/Fulton Street side.